Here at the Mill, we’re obviously fans of reusing and recycling rather than always buying new, so when it comes to Christmas, we like Martin Lewis’ quote, “Christmas isn’t a retail festival – we need to end obliged giving and think about what we’re giving, to whom and why”. He goes on to give 44 Christmas money-saving tips, useful for anyone feeling the pinch these days. A local bike shop voucher; help someone get their bike repaired, get an essential accessory or attend a course. Make a donation in someone’s name; support a charitable bike pro ject, or even donate that old bike you never use anymore! Buy second-hand; saving resources and often cheaper than new. Buy nothing! You could give the gift of time and plan a bike ride for your friend. 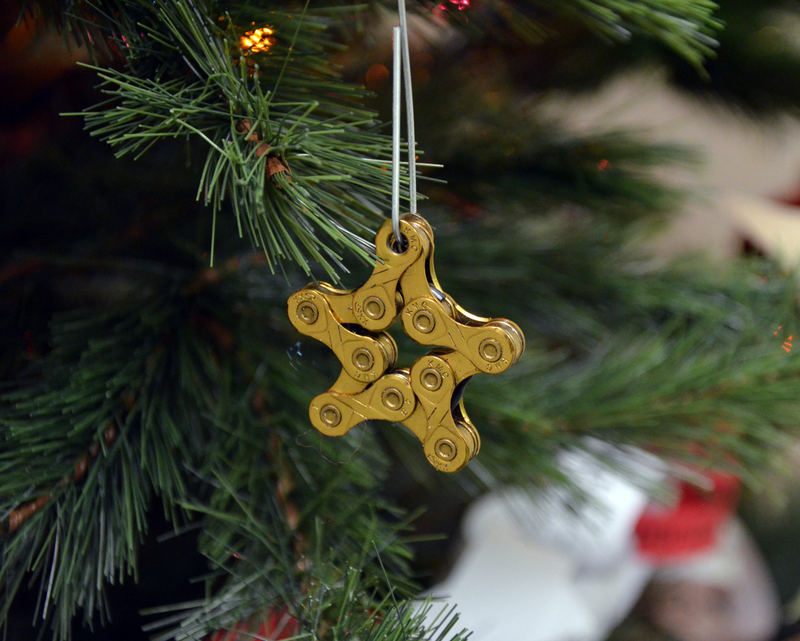 Or you could make a gift; jams and chutneys are a classic but for more bike-related we love these very do-able bike chain stars. Previous Article Free Seacroft Wheelers membership with every adult bike!